It’s no secret that there have been few successes when it comes to pharmaceutical breakthroughs for Alzheimer’s and other dementias. Little surprise then that patients and families are desperate to grab whatever treatments they see advertised or sold on drugstore shelves that promise some relief. That includes Prevagen, the dietary supplement that supposedly helps improve memory in people with mild memory impairment “due to aging.” Well, if you remember one thing, let it be this: According to the McGill University Office For Science and Society (whose motto is “separating sense from nonsense”) Prevagen does not improve mental clarity and despite company claims, there is no valid scientific data to back this up. There is, in fact, a growing concern among policymakers and legitimate scientific researchers that the public is at risk of being financially scammed and even physically harmed from the rise of pseudoscience that promises illusory cures for dementia and cognitive decline. 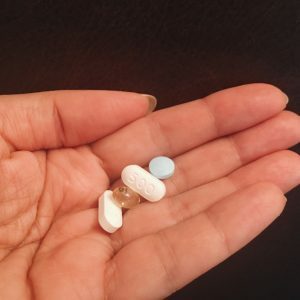 A recent opinion piece in the Journal of the American Medical Association makes clear that there is no known dietary supplement that prevents cognitive decline or dementia despite the plethora of products available for sale. The piece advises physicians to educate patients about the difference between these pseudoscientific products and actual quality medical research. Not only are dietary supplements generally not FDA tested for safety or efficacy, but they can cause real physical and financial harm. So before you latch onto false hope, check in with your health care provider and check out the data on that dietary supplement you want to take.